Remember, the revolution will not be televised – certainly not on mainstream media! Romania is commemorating 24 years since the bloody revolution that led to the overthrow of Ceausescu. This ia a moment for Romanians to achieve what did not happen back then: a real revolution! Cross your fingers for the Romanian Rising, which will start today, December 21! We hope it will be the first revolution ignited mainly by fracking – the situation in Pungeşti has contributed a lot to the people taking to the streets. The brave people of Pungeşti people will join us in Bucharest. For our English-speaking friends, Please stand with Romania today, tomorrow. Help us be seen, help us be heard! From 17:30, Bucharest time, today December 21, follow us live on http://www.nasul.tv/live (this is not a mainstream channel) and spread the news to the world! There was a street webcam at the gathering site and at the government, but the municipality switched it off, so that the people cannot follow what is happening there. The past weeks have been incredible, both in Romania and abroad! Please be part of this revolution! Keep calm and send the frackers packing! 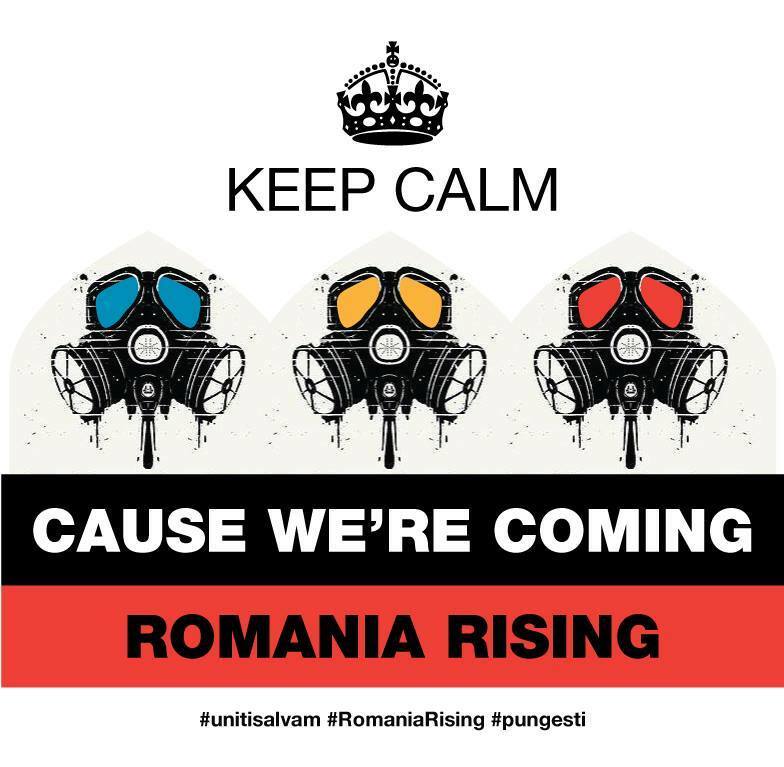 For live updates via Twitter, follow @RomaniaRising. By Frack Off in Protests on December 24, 2013 .